The Commuter Daypack is a more sophisticated urban rucksack for the discerning commuter. 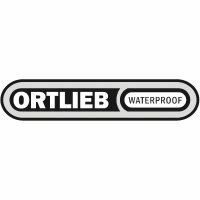 The backpack is manufactured in Ortlieb's lighter weight PU-coated nylon, which is more fabric-like compared with, say the Ortlieb Velocity Backpack,which is made in the shiny laminated fabric most of us associate with Ortlieb. An internal sleeve keeps your laptop or tablet (up to 15.4 inches) safe. The laptop sleeve's external pocket with dividers keep phone, wallet and papers safe. The back system and straps are generously padded and vented. Space around every one of the 20 back pads allows air to circulate. The Daypack comes fitted with a chest and a hip strap, which are both removable if you don't require them. A pocket with a water-resist zip zip is conveniently located close to right hand hip level when you're wearing this daypack. This pocket would be big enough to take a large wallet. The Commuter Daypack City Backpack's roll top closure is especially easy to secure, thanks to its sophisticated aluminium slider buckle. Approx dimensions: 50cm high x 36cm across x 15cm deep (20 x 14 x 6 inches) = 21 litres. 740g based on weighing an Ortlieb Commuter Daypack City Backpack at Bike Co-op HQ in April 2016.